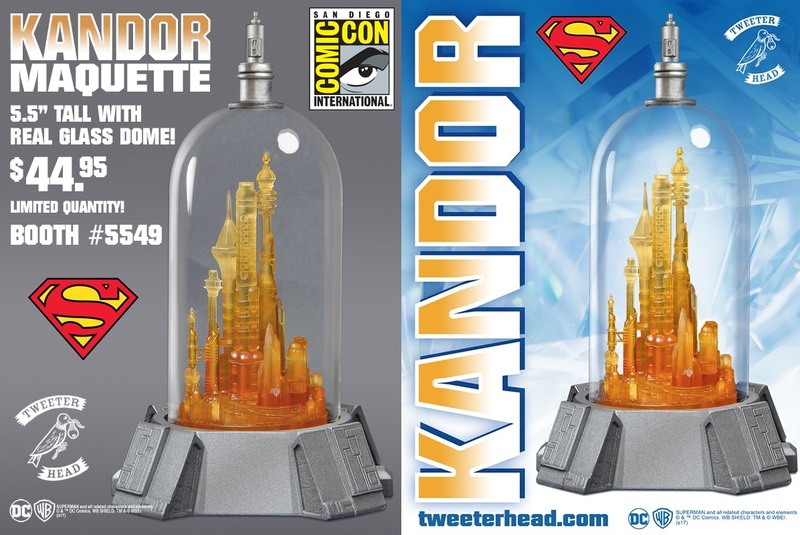 Check out this fantastic San Diego Comic-Con 2017 Exclusive Superman Maquette of the Bottle City of Kandor by Tweeterhead! Does this DC Comics statue look awesome or what!?! Limited to just 1,000 pieces, each City of Kandor Maquette stands 5.5” tall and includes a real glass dome just like the one used by Brainiac. Fans can purchase this DC Comics collectible at the Tweeterhead SDCC booth #5549 for $44.95. Those of us unable to attend SDCC this year can place a waitlist order for after the convention at the Tweeterhead online store.